In order to log in to the system you need to use the same username and password used when submitting the Executive Summary and Proposal files in the BIRD upload system. 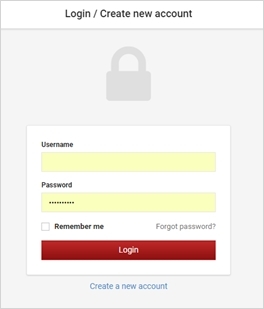 If you have forgotten your password, click on the link “forgot password” and it will be sent to the e-mail registered. For username recovery request, please contact Maha, at maha@birdf.com. You will notice that your project has a BIRD Ref. number given by BIRD. BIRD reports need to be submitted regularly every six months from the Effective Date. The segment and its due date is stated in the system. Each of the companies will have access to the (joint) Technical Report upload page. Each company will have access to its own Fiscal and Commercialization Reports but not to those of its partner. Click on the relevant document, Fiscal or Technical and upload. You will be able to see the status of the document for upload. 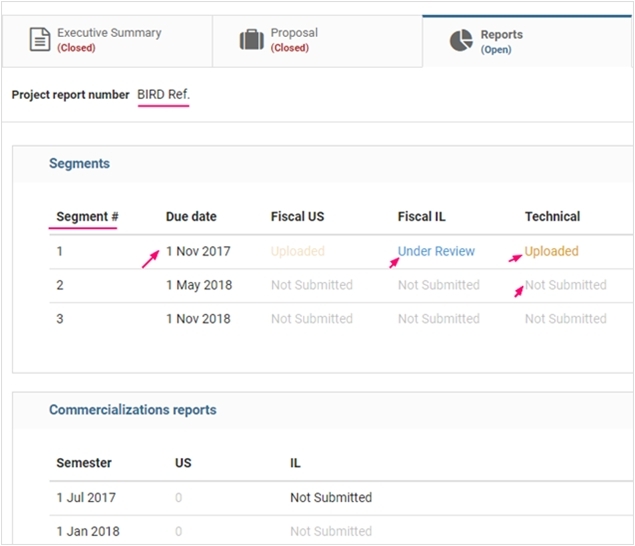 Please upload the required Technical and Fiscal files in the Technical and in the Fiscal sections respectively; not in the Miscellaneous section. After choosing the file you want to upload, please click “save” in order to upload it to the system. The upload may be done in more than one session, i.e., one file may be uploaded during one session and saved; another file may be uploaded during a following session. 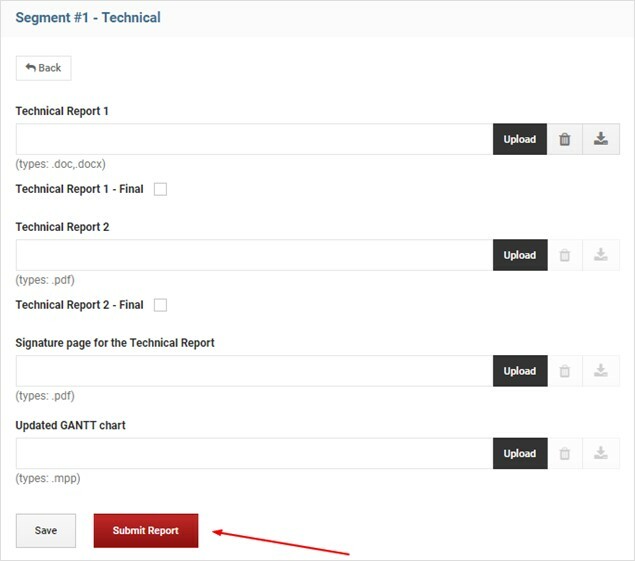 In order to submit the report, the company has to click on the SUBMIT REPORT button. Please note that when a report is “Under Review” status you will have read-only access to the file. Once the report is submitted, you will receive an email acknowledging that files were uploaded, and a list of the files uploaded, both by the uploading company and by your partner. This message just acknowledges that the files were uploaded, prior to being reviewed. Please note it is a compulsory requirement to submit one hard copy of each report (Technical and Fiscals), in addition to uploading the soft copies to the system.